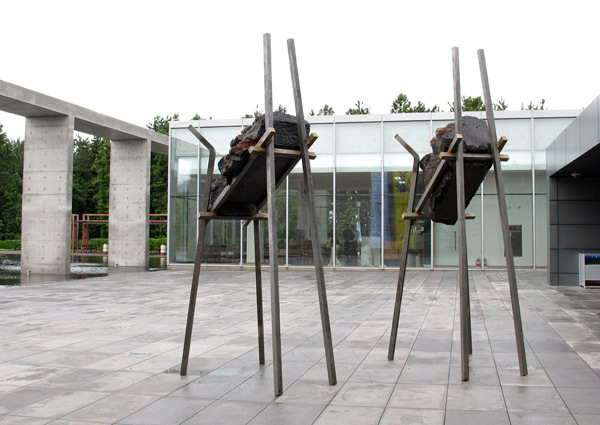 ‘JEJU PASU’ (Jeju Sentinels), 2010, was commissioned by the Jeju Museum of Art; Jeju, South Korea for EFA Studio artist Del Geist. 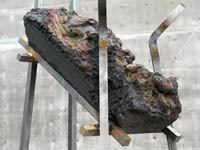 The work consists of two structures, each of steel and holding an indigenous basalt stone, exhibiting volcanic lava flow. 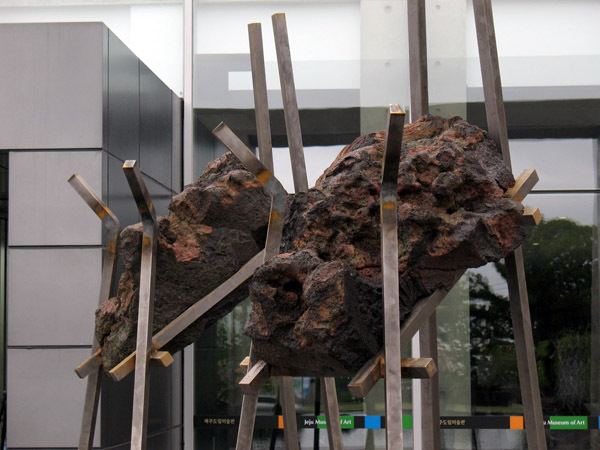 Situated as entrance markers to the Museum, the sculptures pay homage to the volcanic history of Jeju island. This exhibition: Close Encounter, curated by Eunhee Yang, celebrates the first anniversary of the museum building.